It was hard to pick a Neil Young record, it was between this and Harvest. It’s so hard! I kind of wanted to pick After The Gold Rush or Harvest, I love them so much. 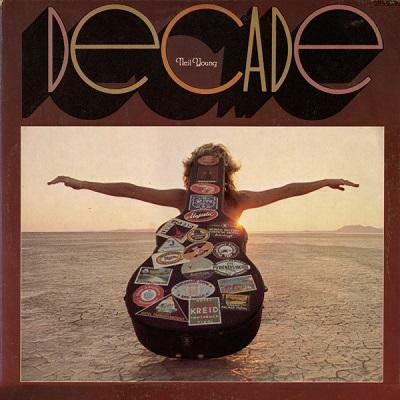 Decade has the best version of ‘Expecting To Fly’ on it, the Buffalo Springfield medley, and ‘Sugar Mountain’ on side B… It’s hard sometimes when you’re talking about an artist with so many great records to pick just one. I think Harvest was my first Neil Young record, which to me is the ultimate road trip music. The band is so good on that record, it’s perfect. Every song is a hit but it’s also of substance. After The Gold Rush is a beautiful sad record, Harvest is a beautiful upbeat sad record. It’s a lonely record for sure. I’ve tried to cover a bunch of those songs, but I’m finally reaching the point where I’m refusing to cover songs that I love like that anymore. They should just exist. I love his dirty guitar solos, too. When I do have a band and play electric, that’s kinda the way I’m able to play: single note, dirty solos.